Despite a slow start to the week, US equity markets remain in “risk-on” mode thus far in 2012. 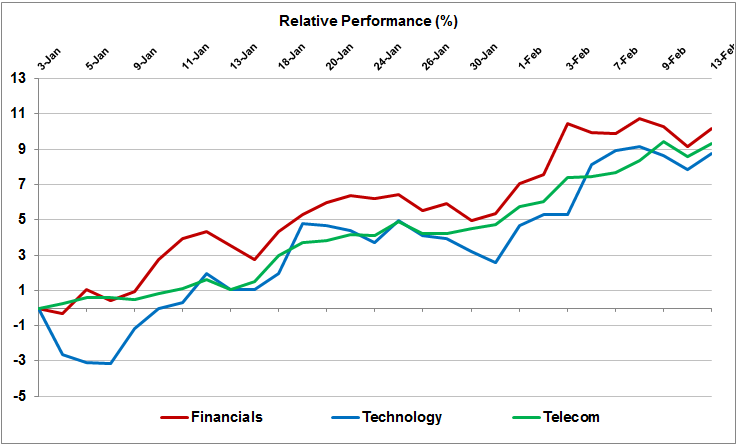 The performance of the top sectors (Financials, Technology and Telecom) are shown in the graph below. 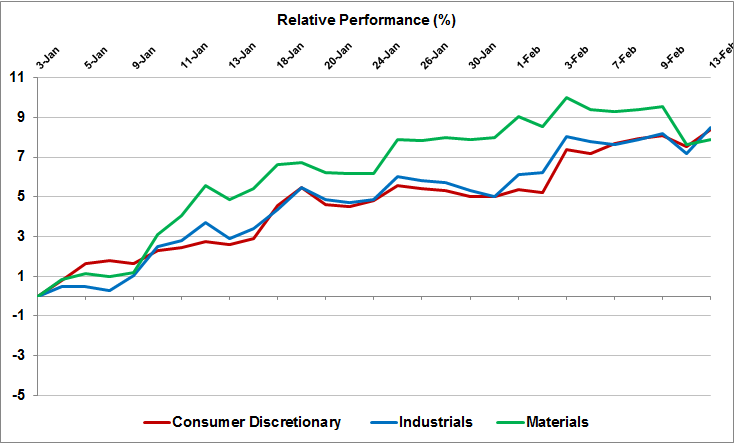 These sectors have posted total returns of 9-10% in the first 6 trading weeks of 2012. 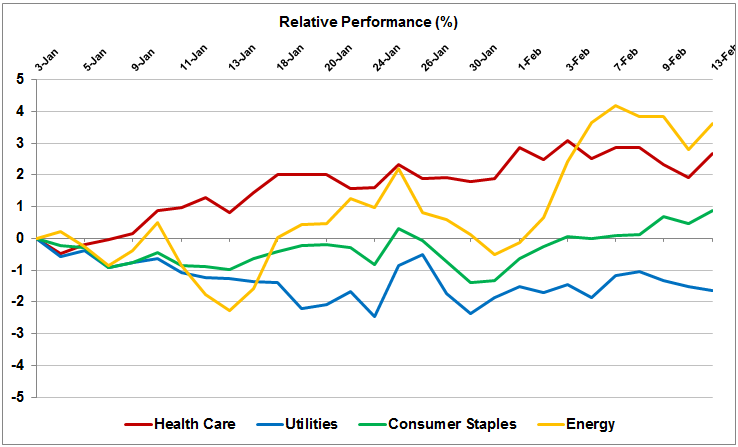 Lagging behind for the year are Energy, Health Care, Consumer Staples and Utilities, with those last 3 being the classic “risk-off” defensive sectors. Will the market’s preference for the risk-on trade be the story for 2012, or will 2012 repeat the pattern seen in 2011, where the risk-on sectors led the way early, with the defensive sectors taking control in the second half of the year? You’ve nded my four day long hunt! God Bless you man.